The project book ‘The Journey of a Hundred Leaves’ will be published as a non fiction creative resource and coffee table book initially in Pakistan, and then will be distributed internationally as well. Girls’ voices matter in climate change adaptation and raising awareness because young girls are the generation that is going to be most affected by the harmful results of climate change. Yet, very few children/young girls in particular are seen leading in the struggle for climate change adaptation advocacy. In August 2010, after the massive Pakistan floods, the now Co Founders of the Seplaa Young Leaders Club International, Amal Malik (6 1/2) and Dina Malik (5), embarked on the journey to learn more about the impact of climate change on our world and to share their experiences with others over art and environment awareness activities, adventures,meeting extraordinary people, attending conferences and learning covered over several countries in Asia. The project is planned to be covered as a beautiful resource and coffee table book compiled as the ‘Journey of a Hundred Leaves’ by 2018. More girls led projects need to be promoted than are already getting attention. In addition, girls need to raise their voice in climate change adaptation and awareness because this is a global issue which is going to be become more complex in the coming months and years, bringing about catastrophic results in food and water security, mass migration of people and ultimately also conflict. The generation that is going to be most affected by all the harmful effects of global climate change are the children and the youngest generation. Through this international project, we hope to involve and educate the youngest members of our global community about the pitfalls, opportunities and precautions that must be taken seriously today, so that future generations can still have a healthy tomorrow. 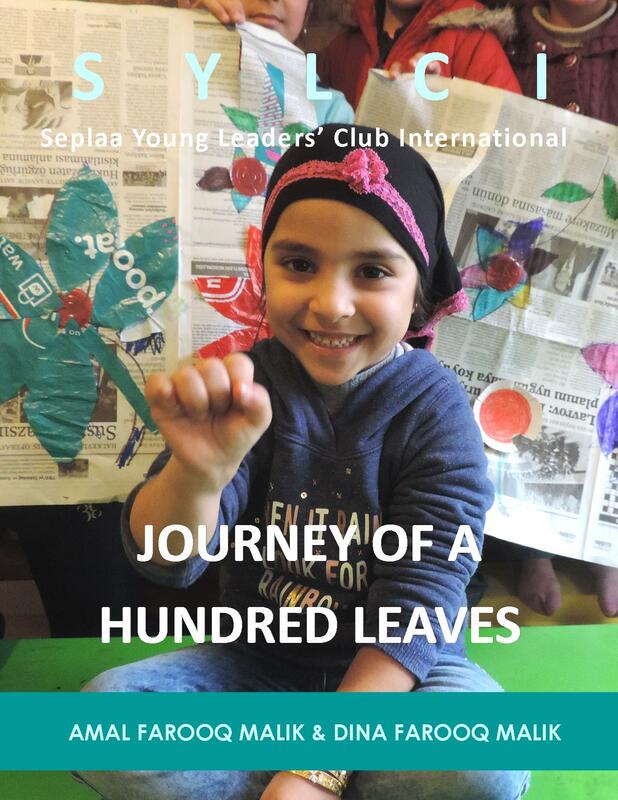 By tackling an important issue, such as climate change, the Seplaa Young Leaders’ Club International hopes to spread more awareness about the importance of involving more young girls in climate change advocacy activities. We want to educate as many people as possible about these issues as the lack of information is contributing to the rising problem. The main purpose of attending international conferences is to bring back the learning to Pakistan, where we will then use it to conduct climate change awareness based events and art activities on a regular basis with children at underprivileged schools and Partner schools. By travelling to different countries, we can spread awareness about climate change and build peace by creating international linkages. By documenting and producing a book on the journey of the Seplaa Young Leaders in their quest to learn more about climate change adaptation, we will be spreading this information to many more beneficiaries in a sustained and creative way. The book is a social enterprise project where the community will be involved through various activities to become a part of the book and climate change action. SDG No. 13: Climate Action/ Climate change awareness amongst children. SDG No. 5: Empowerment of girls. Promoting social entrepreneurship for sustainable investment in climate change adaptation awareness. Peacebuilding by building global partnerships and linkages.